Do you want to know what my absolute favorite book in the elementary music room is? 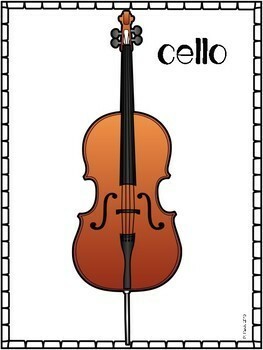 I Know a Shy Fellow who Swallowed a Cello. It is so silly but so good. I love it. My kids love it. 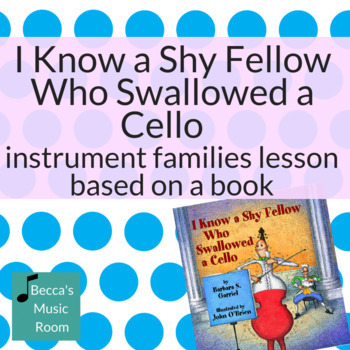 This year, I wanted to use it in a more meaningful way, so I used it to help my students learn about the instrument families. 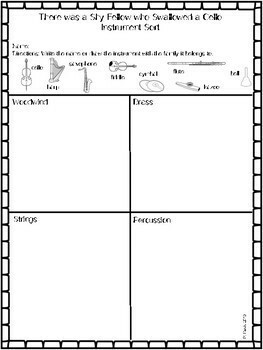 This lesson includes posters of each instrument, instrument cards for sorting, and four worksheets. This lesson was not created to be a sub plan, HOWEVER, I left it for my substitute the other day, and it went over really really well. So it could pull double duty for you!